Every day the meal replacement products win more popularity among different people. The purposes of use of shakes are also different including weight management and full meal substitution. 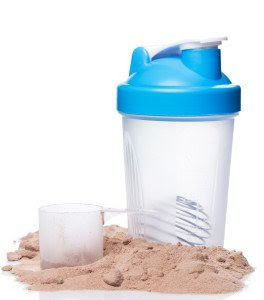 The protein shakes are known to contain various types of ingredients not of which are natural. 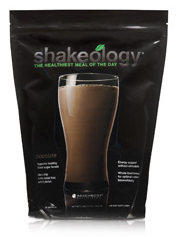 Of course, there are some brands offering natural and quite safe products like 18 Shake or Shakeology. Unfortunately, even purely natural meal replacements can be improper for your health depending on various conditions. Hence, a question about using MR shakes during pregnancy arises. While a woman is pregnant, the hormones in the body, as well as other processes experience changes and heavy stress. Besides, many women experience a huge craving. For this reason, many of female users wonder whether they can consume protein shakes during pregnancy and whether such consumption causes any health effects. Let’s try to deal with this issue. First of all, we should understand that every pregnant woman will gain weight. It is the main disadvantage of pregnancy and undesirable outcome. A healthy baby requires gaining weight. However, gaining weight and gaining excessive weight are quite different meanings. 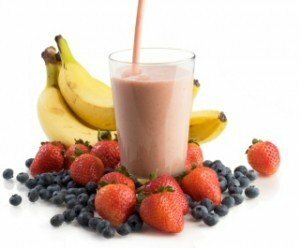 Meal replacement shakes can be a good way to supply the essential nutrients and minerals to the body of future mom, as well as to suppress craving and reduce consumption of unnecessary products. I.e. that if you do not have excessive weight, after delivery your weight will be normalized. So, let’s mark plus to protein shakes in this point. Pregnancy and diet must not go together. Some diets eliminate products that are crucial for a woman while she is pregnant. Many meal replacement brands offer great formulas consisting of numerous vitamins and minerals for well-balanced nutrition. And such nutrition is what pregnant women need. Pregnancy increases nutritional needs of a woman, so she requires more protein, calories, calcium, iron and folic acid. Healthy meal is a crucial requirement for women during pregnancy and post-pregnancy periods. A good MR shake cannot substitute a wholesome meal, but it can be a good supplement to a healthy diet. The question is which MR shakes can be appropriate for pregnant women and which not. It is crucial to avoid brands offering artificial ingredients, soy, hazardous sugar sources and other doubtful components. The key attention should be paid to the content of fats and sugar. These two elements are the main triggers of gaining excessive weight. On the contrary, the amount of protein and calories should be higher. However, the excessive amount of these values is also undesirable. The optimum protein content is around 15 grams per serving, while the optimum caloric content ranges from 90 to 160. In conclusion, we must admit that the usefulness of meal replacement shakes during pregnancy depends on the quality of a MR product. Pregnant women do require more nutrients and calories for proper development of a baby. For this reason, protein shakes can supply cover these needs and provide the essential vitamins to both mother and child.